By incorporating the use of a banneton and cloche (see last week's post) you can produce what in my humble opinion is the best ever sourdough bread. I like to bake in the morning (fresh baked bread for lunch) so this starts in the evening but if you want to bake in the evening just start in the morning. This recipe makes a loaf of around 650g (about 1½lb). In the evening, get the sourdough starter out of the fridge and bring it up to room temperature for about 2 hours (it should foam and bubble). Make the sponge by mixing the sourdough starter, water and half the flour but not the salt and leave in a bowl covered with cling-film overnight. In the morning the sponge should be fermenting (thick and bubbly). Add the other half of the flour and salt and mix well. Add more flour or water if necessary but keep the dough as sticky as possible. Turn the dough out onto a lightly floured surface and knead until the dough is smooth and satiny (around 10 minutes). Shape the dough and place it in the floured banneton, sprinkle flour on top, cover with a tea towel and prove in a warm place for two to three hours until nearly doubled in size. 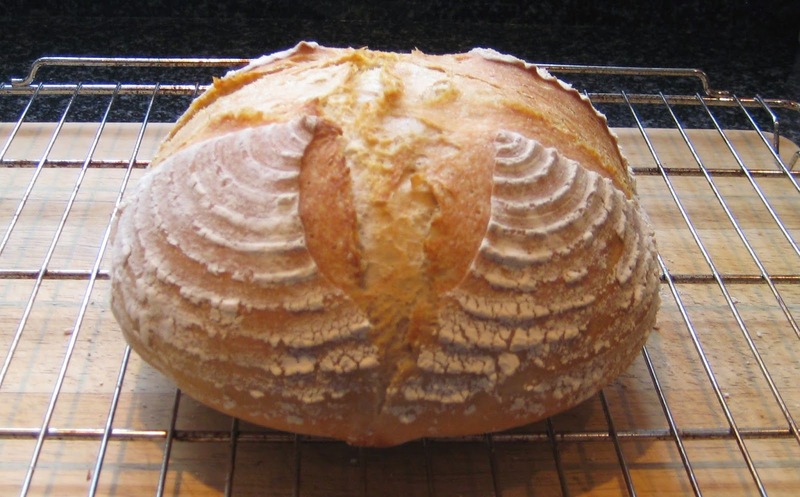 Invert the dough onto a baking dish, slash the top, cover with the cloche, put into a cold oven and bake at 230°C (190°C fan), 450°F or gas mark 8 for 25 minutes once the oven has come up to temperature. Remove the cloche and bake for another 25 minutes until golden. Turn the oven off and leave the bread in the cooling oven, with the oven door slightly open, for another 5 minutes, then turn the loaf out onto a rack to cool for at least an hour. Just published by CreateSpace and available from Amazon in print (softback) and Kindle formats and The Topsham Bookshop (softback). 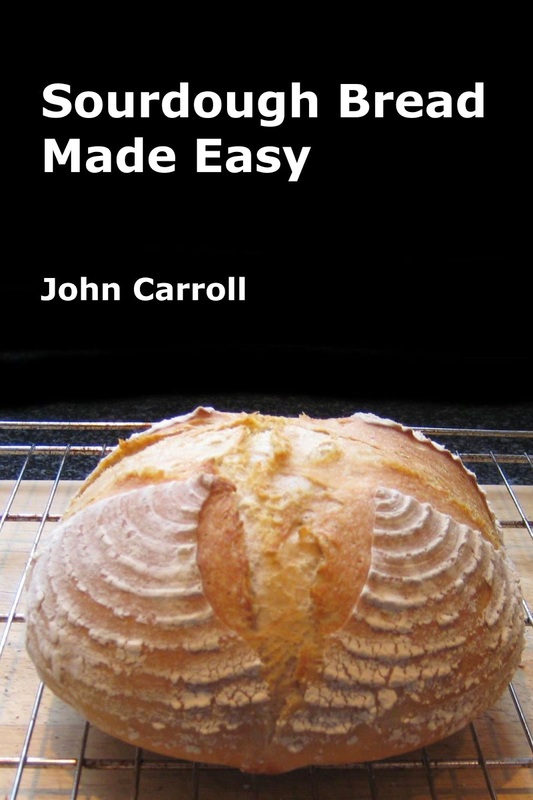 Priced at £5 for the softback print version and £1.29 for the Kindle version. at Amazon.co.uk and it is also available from all other Amazon sites in equivalent local currency prices. I would greatly value any feedback on the book, via this blog and of course any questions or problems on the blog itself.